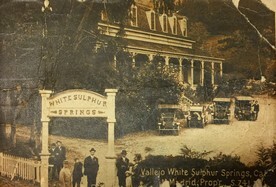 Pictured: White Sulphuric Springs Hotel in Vallejo was built for General John B. Frisbie in 1870. The Hotel was demolished in the late 1920s. The springs are now known as Blue Rock Springs. Our monthly newletter, Taproot, is mailed electronically to members in good standing. It is also available in the "members only" section of this website. It contains details on meeting programs locally and nearby, family stories of members, selected research items, and more. Located at the Vallejo Naval and Historical Museum in Room 9 on the 2nd floor (enter through Room 10). Open on 2nd Thursdays from 1:00 pm to 3:30 pm and every Tuesday afternoon from 1:00 pm to 3:30 pm for individual research and discussion. 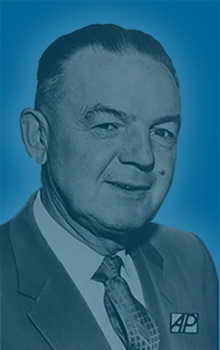 Regular programs are scheduled on the 1st Thursday of every month at 1:00 pm. Sometimes a guest speaker is featured, sometimes an informal group discussion on a selected topic, sometimes a DVD viewing followed by a group discussion. Once or twice a year a field trip may be scheduled for those interested in visiting nearby repositories of historical or genealogical interest.